As many women my age do, I recently had a sizable crop of friends expecting babies around the same time. I wanted to make a batch of baby blankets as shower gifts and found the exact right project: a starfish blankie. The pattern tutorial was just at my speed and the instructor took the time to explain where he had gone wrong in the pattern the first time he'd made it, which was so helpful. (This pattern is especially nice as a carseat blanket; two star points can be tucked on either side of baby's head to ensure warmth all around). I made three in the end: two in blue/green tones and one in deep coral/purple tones. As my pregnant friends, sister & sister-in-law proceeded to give birth to sweet little boys who didn't seem to suit coral (dear Noam and Owen are owners of starfish blankies! ), I feared my last starfish would not find a home in the next year! As I was fretting about this to my mom one day, before I was pregnant with Charlotte, she said "well maybe YOU'LL have a girl next and she'll have the blankie". Sew cute!! Wish I were talented enough to make any kind of blankie. Remember I tried to make one for Jake and then mom redid the whole thing because it was so grossly our of line. I love your blankies better. C is lucky. 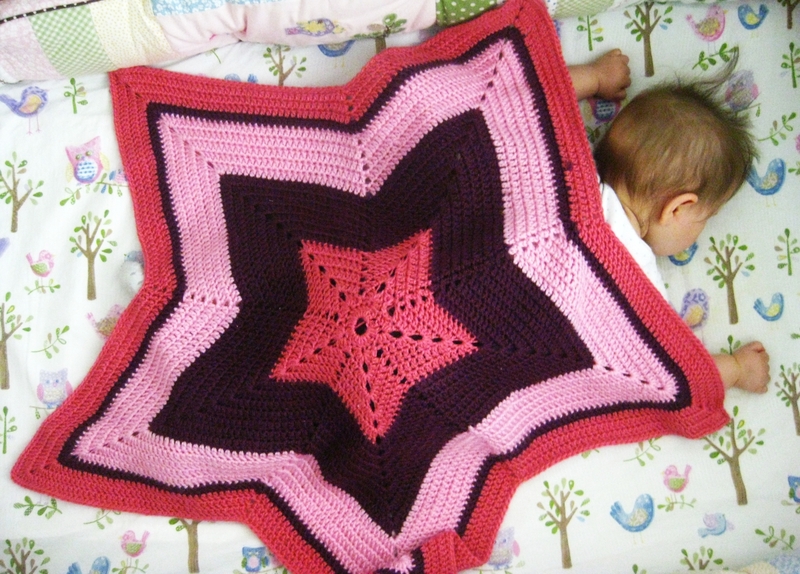 I have made several star blankets as gifts as well. LOVE the colors you used for this one. could write a litte more on this topic? I'd be very thankful if you could elaborate a little bit further. Appreciate it! the blogosρhere. Simplе but very accurate infoгmation… Thank you for sharіng thіs one. This is also a valuable source of information. challenged, or made into anything practically workable. How long is it good for and what does it cover?